The painting below is almost as desirable as the actual car! 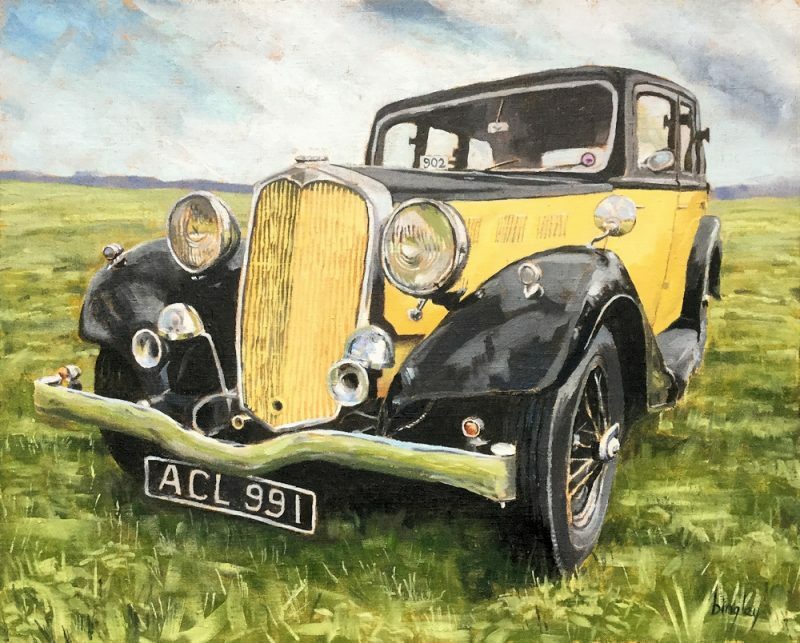 Local amateur Leicestershire artist, Frank Bingley, spotted Martin’s Gloria 6 Light Saloon at a recent gathering and felt compelled to get it on canvas. He’s captured it very nicely and has agreed to sell his services to members who might like something to hang in the house to remind them of what’s under the winter covers in the garage! Frank is happy to work from photographs although he often prefers to visit!